Onpage SEO optimization is basically an adaptation of website for search engines. Various techniques help to make a site easier for indexing, gain higher rank and take up higher position in search results. While Google and other engines constantly evolve, on-page SEO practices also change in response. 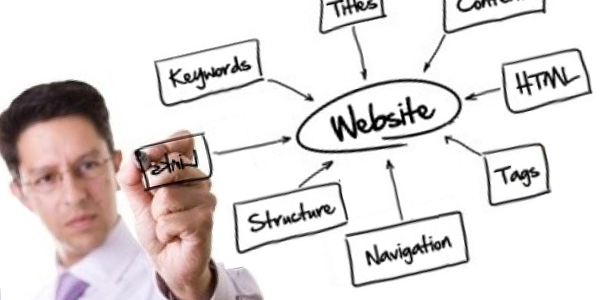 If you want to gain maximal benefit from website SEO, you should always follow up-to-date approaches. 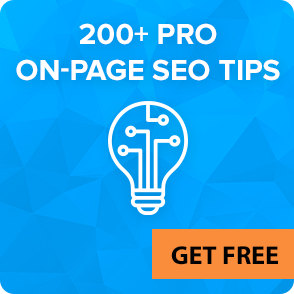 We have collected the best 2018 on-page SEO tips that comply with the latest Google regulations and help to make your website pages perfectly digestible by its algorithms. Go through these on-page SEO checklist and add more, if you have, in comments. A perfect URL should be short and easy to understand. Google confirmed that the first 3-5 words in a URL are the most important. Obviously it is essential need – Google must be able to crawl the website pages, at least those that you want it to crawl. It would be great if such pages were on the next-to-index level or at least on the third nesting level. Keeping keyword-rich pages maximally close to the index is one of the best On-Page SEO optimization techniques that make it easier for Google to see these pages and consider website as relevant to your target keywords. If you want some page update to be captured by search engines maximally quickly, put a link to this updated page right on the homepage (level-one page) until Google reaches it. If you do not want some pages to take part in the ranking, apply meta ‘noindex’ or ‘follow’ tag instead of robots.txt file. It is more about detected duplicated meta tags, while copyscape.com helps to find specific page copies online. 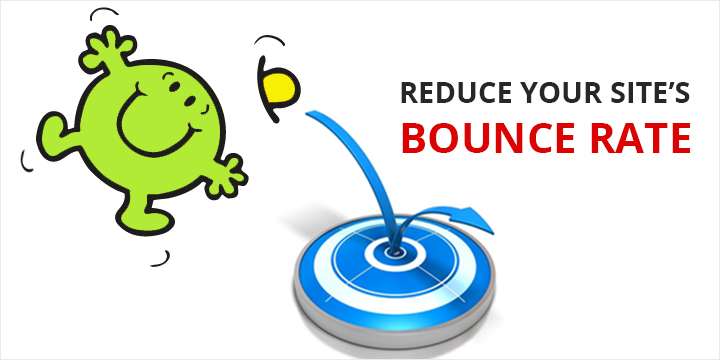 This onsite optimization parameter is more about usability. You definitely don’t want to make your site visitors leave the page while it actually even hasn’t been loaded. It must take up to 3 seconds for a website to load in modern high-speed Internet connection. If it takes longer, you need to optimize your website code better. 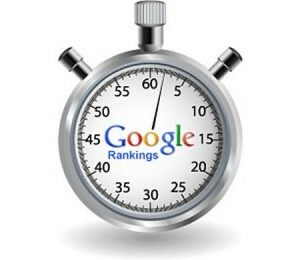 Speed is also a part of Google ranking algorithm. And while you will not benefit a lot from a cosmic loading speed, you will definitely loose, if the site loads too long. You can significantly increase the loading speed by compressing images, moving to faster hosting, removing all unnecessary code fragments. 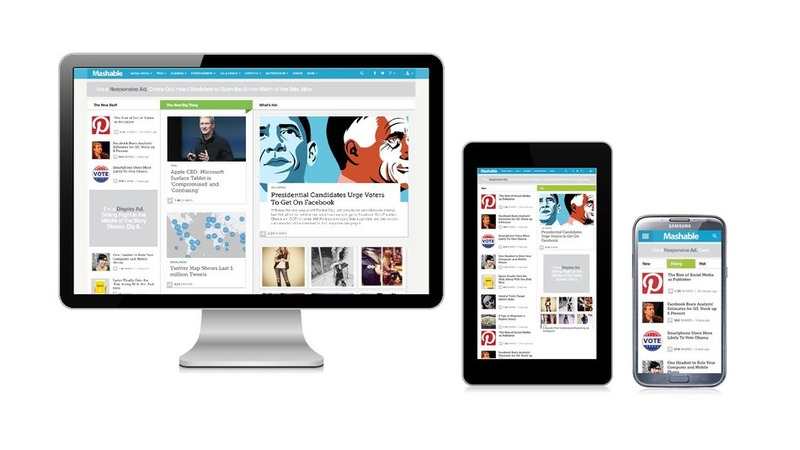 The golden standard of mobile website version is having the equal set of URLs for all devices and using responsive design to display them properly on any gadget. However, it is not always technically possible. If you can, follow the principle of equality. If you cannot do this by meaningful reason, use canonical tags to point to the best version of each page and set redirects for proper screen size. Developing attractive website design, etc. Traditional rules of writing ‘title’ tag and header content haven’t changed. 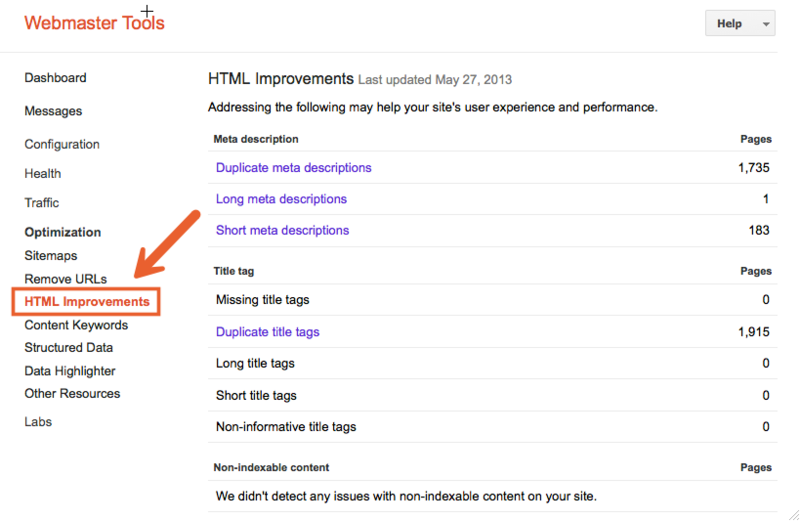 Title and H1 tags are better to contain different content, and it is good to have keywords. Title tag is one of the most important onpage SEO factors, and the place of the keyword there is essential: the closer the keyword to the beginning, the more weight it brings in search results. It is not required to begin the title with a keyword. However, if you want to get maximally good result by a certain keyword, than do this. The content of description meta tag must be unique for every page and written by a human. A properly written, informative description can make a user prefer your link to all the rest and increase the overall click-through rate. The optimal length is about 150 characters. It will be better if the description will not be cut off when displaying in search results list. You should take care about keywords, H1, ALT+ title for images tags too, they should not be empty on all website pages. It is recommended to have 2-5 internal links on each page, but they must be relevant, useful and equally spaced on the page. Keep up to 1000 – 1500 words in a post for blogs or reviews and don’t post more than 500 words for each e-commerce article. Enrich your content with numerous multimedia – images, videos, etc. Don’t generate numerous pages about the same exact subject to optimize for different keywords. It is much better to create one page per topic optimized for multiple keywords. Easy website navigation and clean page structure with nice-looking font style, text formatting, etc. 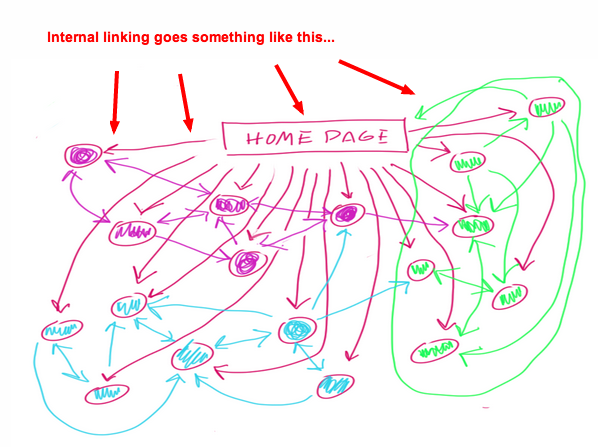 Internal links to relevant pages help a visitor to deeper his knowledge about the topics he is interested in. Social shares and likes attract natural traffic to the website. 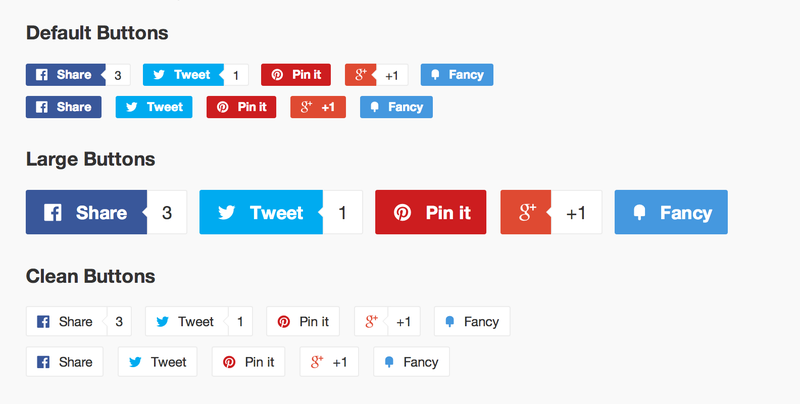 That is why it will be better to place as many social sharing buttons, as you can to enable people like, tweet, share the content as they want. Social sharing is not included to the search engine algorithms yet, but they definitely bring indirect benefits by increasing social sharing, promoting website in different social media services. #5 On-Page SEO is not enough? You have created an eye-catching website with high-quality, SEO-optimized content that is regularly updated, took care about all meta tags and tags, created smart website pages structure and wait for visitors. However, all onpage SEO is the inner optimization work that creates a good basis for further position of the website in search results. 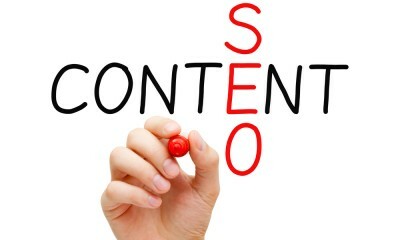 But this is only a basis that must be supported by another part of SEO – offsite optimization. 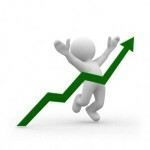 Let’s say the search engine has found the newly created website and has indexed its pages. And here is a question: where this site will be placed in search results by the keywords it was optimized for? Without off page optimization it will be so far on the bottom that even the most curious online user will not be able to get to it. The most important technology of offsite optimization is backlinks – the links to your site located on other websites. Depending on the donor website’s ranking you site will get different amount of weight in search results. The higher rank is, the more weight a backlink brings. There is a plenty of backlink types and secrets of their generation you should know for successful SEO promotion. Full and diversified backlink profile highly increases the trust to your site, brings much target traffic and brings significant weight to its pages. However, building such backlink profile is a long and complicated process that can cause problems even for professionals. 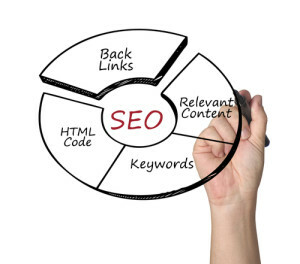 Experienced SEO specialists use backlink building services that simplify and automate the process of finding backlink sources, purchasing and publishing custom backlinks with required anchor text and other parameters. If you have already optimized your site using on page SEO best practices and want to promote it in search results by certain search keywords, take advantage of using LinksManagement backlink marketplace to find reliable backlink sources with the required DA and PA. If you doubt what kind of backlinks and how many of them you need, apply for freeware backlink calculator that will prompt what backlink profile is required for your site and how much it costs.